Looking To Sell Your Gold? Where is the best place to sell Gold, Gold and Silver Jewellery and scrap? The Birmingham Gold Company! Ready to sell your gold and silver? The first step is to get a price for your gold or silver. Weigh your gold and use our gold and precious metals price calculator. NB Don't be fooled by websites showing "live market or spot prices" This is not the price they will pay. Make sure the price you get using a gold calculator is the price you will be paid not just the market "spot price" Our gold calculator shows the price we pay. *Its a fact that travelling to us in Birmingham to sell gold will reward you with a much better price for your gold as you will be cutting out the middleman ie your local gold buyer or jeweller. Its quite simple. 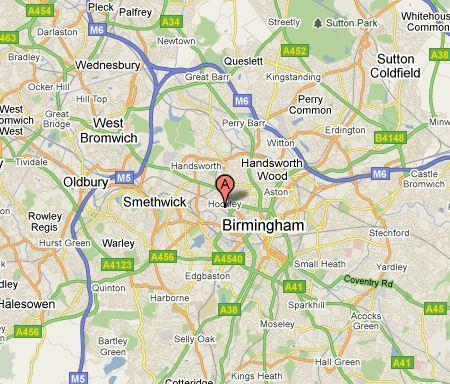 They buy gold and silver from you, and drive it down to gold buyers in Birmingham, earning their "cut" in the process. Their "cut" can be as much as £4 a gram, not bad for a few gallons of petrol so if you have 100 grams of gold you will be losing up to £400, something no-one can afford to do in this day and age"
Need more info on the types of gold we buy? Whether scrap gold (see below) or even unhallmarked gold, or rolled gold or gold-filled we'll buy it. We buy all types of gold, including Gold Jewellery, Asian Gold Jewellery, Gold Bars, Dental Gold, Sovereign coins, Krugerrands, American Gold Coins, Australian Gold Coins, Chinese Gold, Indian Gold, Italian Gold, Turkish Gold, Gold Watches, Industrial Gold scrap rolled gold and gold filled of course, In fact the lot! Again we buy all carats of gold ie 9, 10, 14, 15, 15, 18, 21, 22 and 24 carat. There are companies that will only pay you the value of 9 carat gold for your 14, 18, 22, 24 carat foreign gold. This is incorrect. At the Birmingham Gold Company we will simply test your foreign gold and pay you according to the carat of gold. Example £100 worth of 9 carat gold would be worth £200 if it was 18 carat. & WE ALSO BUY UNHALLMARKED GOLD We specialise in Asian gold. we are fully aware that many items are not UK hallmarked and sometimes even have no hallmark at all. Scrap gold is an unfortunate term. Some think it refers to broken and damaged gold , perhaps also industrial gold but in fact "scrap gold" is a term which is used in the trade to apply to all gold items that are worth more for their metal than they are as items. Given that the price of gold is so high and also that gold jewellery demand is in decline, many so-called antique & jewellery items and old items are actually worth more for their gold weight BUT your local antique dealer or jeweller is not under any obligation to take the metal price into consideration and they often make an offer for an antique or jewellery item BELOW the metal weight, so if they can't sell it as an item, they can make money by scrapping it in. Many of our customers are pleasantly surprised how much more than antique or jewellery value, they actually get for their items. We urgently require Broken Gold, remember when Selling Gold, broken or not it has the same value regardless of its condition as it should be bought in weight rather than quality. 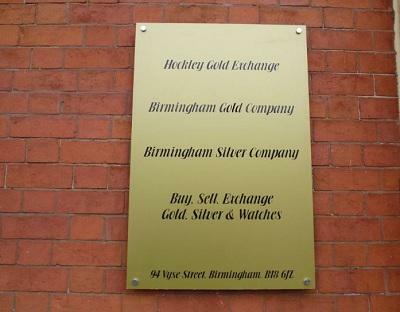 Birmingham Gold Company always pay the same top rate for broken or non broken gold. We buy all gold coins & medals and unlike many of our competitors we are not bothered about condition. We buy Sovereigns, Kruggerands, eagles, maples, pandas Brittannias and indeed all gold coins. Telephone us on 0121 448 0488 for more information. We urgently require working or broken watches, gold or not including Rolex, Omega, IWC, Cartier, Breitling watches . We pay top prices in cash with no postal risks, so please give us a call for a quote on 0121 448 0488. All phone cash offers are, of course, subject to viewing the watch.